Halloween is just a few days away! Whatever your plans and activities are for the holiday evening, it is essential to be extra careful when driving. Parents and children will be walking through neighborhoods going door-to-door while trick-or-treating. 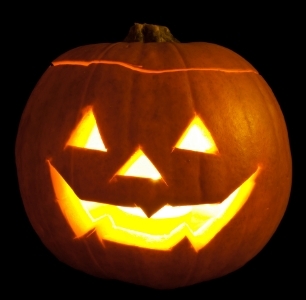 Follow these Halloween driving safety tips and avoid any accidents. Be alert to what is taking place both on and off the roadway. Obviously, youngsters of all ages will be walking after dark, so it is necessary that you pay attention to each side of the roadway more frequently than you typically do. Children can dart out into the street any time. Be alert to that possibility. Reduce your speed. With setting of the sun, shadows become more pronounced and makes it harder to see. A slower speed gives you more time to react to pedestrian traffic. Speeding up isn’t really worth the threat of a crash. Keep your lights on throughout the day. Give everyone the best chance to see your car by using your headlights, even if there is still some sunlight. Be really mindful getting in and out of driveways. Use every one of your mirrors and check your unseen areas as well. Many kids just aren’t tall enough to be seen with just a quick glance! Finally, don’t drink and drive. Even “a little” alcohol in your system is too much when the lives of your children or your neighbors’ children are at risk. If you plan to go to a Halloween party with alcohol, arrange a ride home ahead of time or be sure that you have the number of a trusted taxi service. You can also check out more safety driving tips from the National Highway Traffic Safety Administration (NHTSA). With all the pedestrian traffic associated with Halloween, there is always a high risk for accidents to happen. Please see to it you as well as those around you remain safe by complying with these essential Halloween driving safety tips!